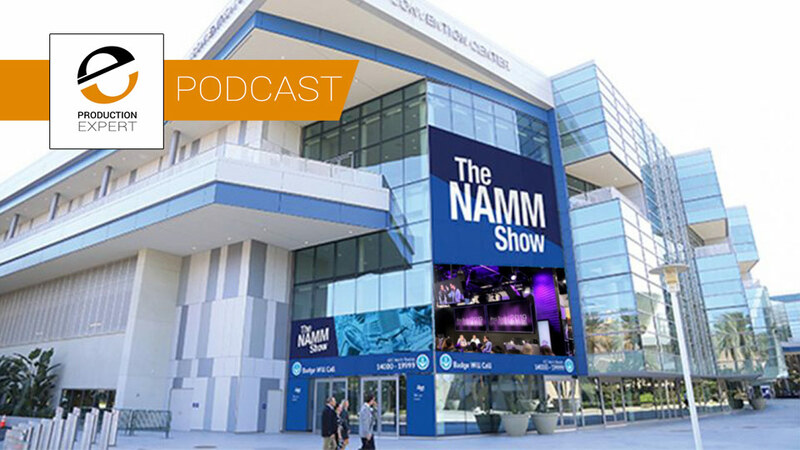 In this week’s podcast, the first Production Expert podcast Russ, Mike and Dan share their highlights from all the news from NAMM 2019. The team also answer your questions and share their finds of the week. We currently don’t have any competitions on our site. If you are wondering if you might have won something in our Christmas 10th Anniversary competition then do check our winners announcement article. Cameron White - is interested in the SSL Native Bundle to see how they fair in comparison to Waves, Slate, and other competitors. Bertrand Grichting is having trouble with the UVI Falcon VIs on Pro Tools 2018.12 on his 2015 MacBook Pro, do we have any suggestions? Rob Arnold is getting ready to upgrade from Pro Tools 10 up to Pro Tools 2018.12. Do we have any help and advice on what are all the features that have come in Pro Tools 2018. Shawn Rogers has an 11 Rack and is loving it but is wondering why amp sims have to have all the associated noise and asks is it just part of the guitar tone sound. Louie Pacilli has an old track he wants to rework, but he can’t find the 2” tape but he does have an mp3 of the mix, can he use some of the new tech to split out the components like the kit, bass and guitars. Greg Major wants to know what is the best way to speed up a stereo 2 track/ printed mix from 140bpm to 148bpm with the fewest artifacts. Mike - A Crucial SSD drive in my 2012 MacBook Pro - It has transformed it. It also runs so much quieter. Dan - A £600 tube guitar amp for less than £150. Sometimes you need to be brave and buy broken and get repaired to save big on gear.